Sure, your local gym is serviceable. It has weights, a treadmill, an elliptical, and a communal shower area. But what if you could get changed into workout clothes that were washed and laid out for you in a private changing room and shower, get stretched out by a personal trainer before your workout, and work out with a program tailored specifically to your goals — all before having a post-workout meal at an in-house restaurant? These places do exist, for those looking to indulge in the most opulent workout routine imaginable. If money is no object, and you’re looking for the best-possible fitness services available, then these are your gyms. 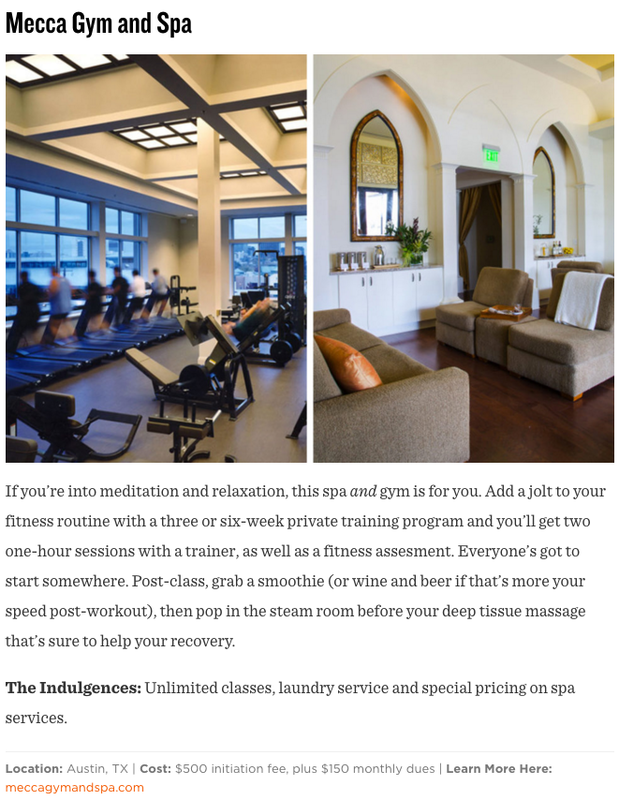 If you’re into meditation and relaxation, this spa and gym is for you. Add a jolt to your fitness routine with a three or six-week private training program and you’ll get two one-hour sessions with a trainer, as well as a fitness assessment. Everyone’s got to start somewhere. Post-class, grab a smoothie (or wine and beer if that’s more your speed post-workout), then pop in the steam room before your deep tissue massage that’s sure to help your recovery. Enter your email below to receive weekly newsletters.